Ranchi, January 14: A wanted Naxalite, carrying a reward of Rs 10 lakh, was killed by security forces in an encounter in Jharkhand's Dumka district on Sunday, police said. Shahdeo Rai alias Talada was killed in an encounter in the jungles of Shikaripara in Dumka. He was the prime accused in the killing of the then Superintendent of Police, Pakur district, Amarjeet Balihar, in July 2013, Superintendent of Police, Y S Ramesh said. Based on inputs that Naxals have taken shelter in Chatupara and planning to extort money, the District Armed Police and Sashastra Seema Bal (SSB) battalion launched anti-Naxal operation since Saturday night. The Maoists started firing at the approaching security personnel at around 7 am today forcing retaliation, Ramesh said. 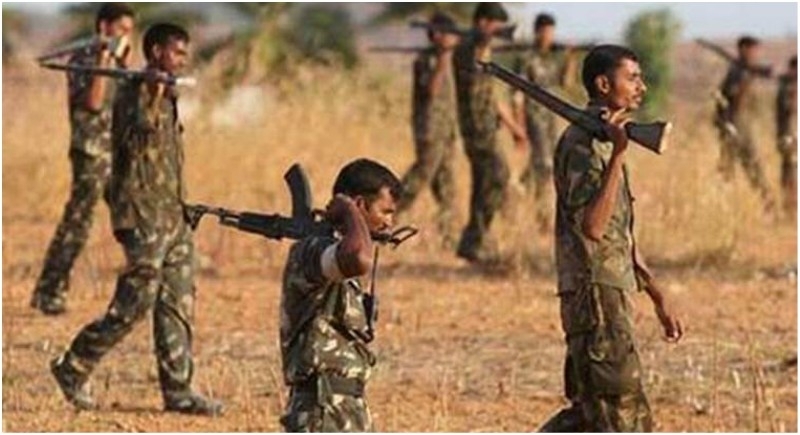 Talada, who has wanted in around 50 Naxal-related cases in Santhal Paragana, was killed in the cross firing. An AK-47 rifle and an INSAS rifle, large quantity of ammunition and magazines among other items were recovered from the spot, he said. In July 2013, the then Pakur district SP Amarjeet Balihar, who was known for his tough stand against Left-wing extremism, was killed along with five policemen in an ambush carried out by the Maoists under Kathikund police station in Dumka district bordering Pakur. Balihar was returning to Pakur after participating in a meeting in Dumka when the Maoists had opened fire and hurled bombs at the convoy of the 45-year-old police officer.